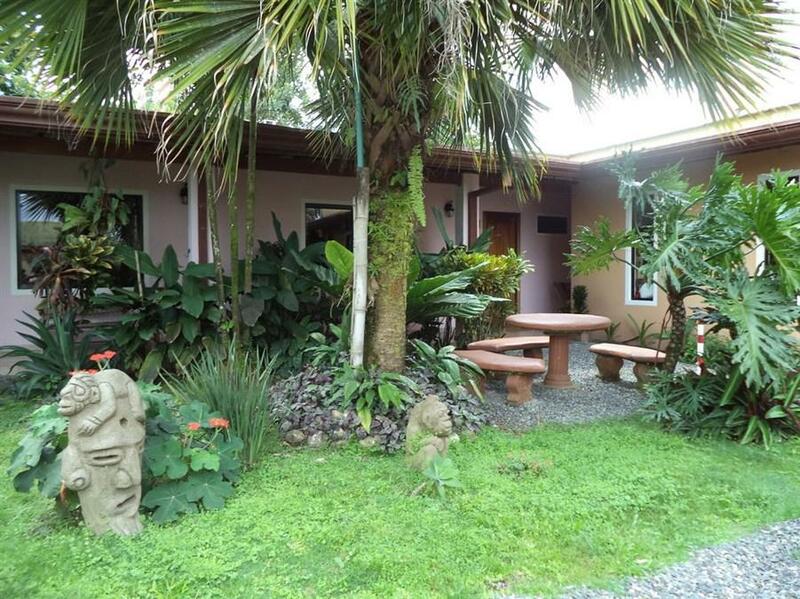 ﻿ Best Price on Hotel Vagabondo in La Fortuna + Reviews! Hotel Vagabondo features a garden, swimming pool and free breakfast. It is located 3 minutes’ drive from La Fortuna main square and 6.8 mi from Arenal National Park. Free Wi-Fi is available. The rooms offer basic décor, wooden furniture, air conditioning, fan and safety box. The bathrooms are private and come with shower. The on-site restaurant serves Italian dishes, and guests can find other options within 656 feet. Hotel Vagabondo is 15 minutes’ drive from La Fortuna Waterfalls and 20 minutes’ drive from Arenal Lake. Juan Santamaria International Airport is a 2-hour drive away. The reception is closed until 22 hrs. and opens at 7 hrs. If you expect to arrive later than this, please inform the property in advance. The contact information is in your booking confirmation. Please be sure to indicate whether an extra bed for children is required. The Staff was super nice and amazing! THE ISSUE: barking dogs all night long behind location and no windows in room for ventilation.